A Pug wrapping paper sheet. 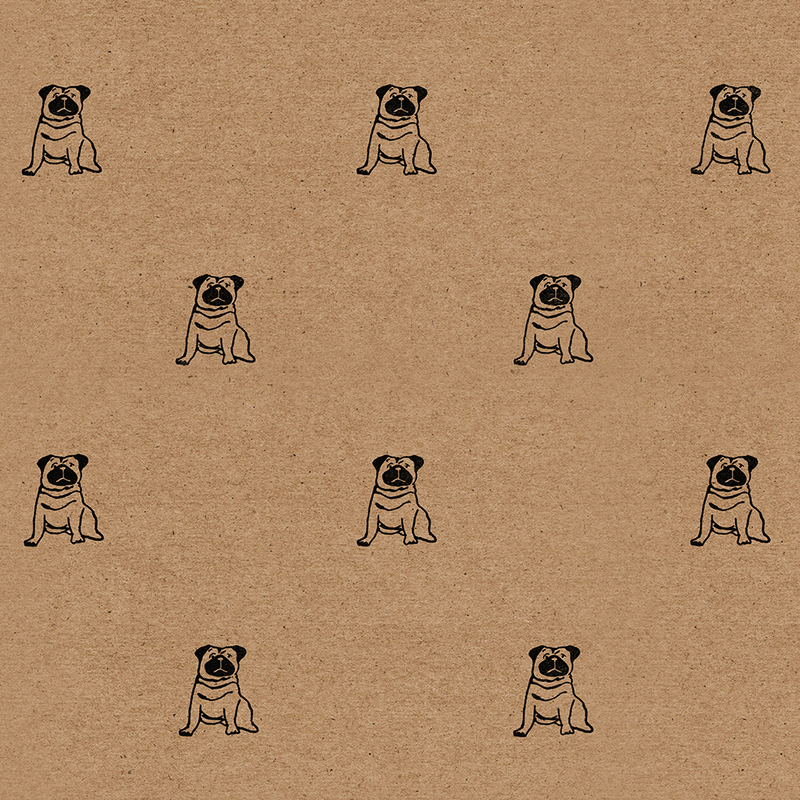 A super-sweet Pug wrapping paper sheet, which features my rather podgy little Pug, Pedro! 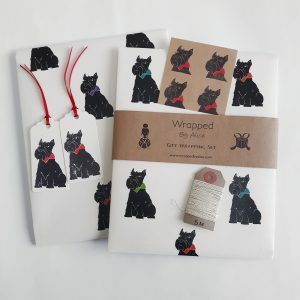 Each gift wrap sheet measures 50cm x 70cm (27.5″ x 19.5″). 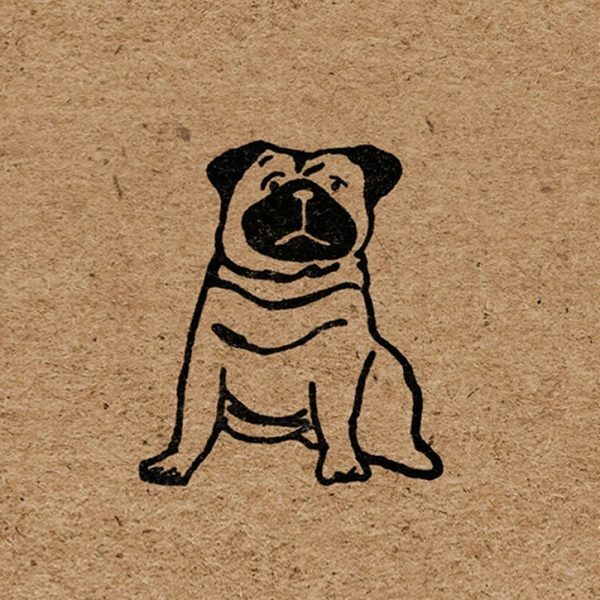 Pedro started out life as an original ink drawing, from which a custom stamp was produced. With this stamp I then hand printed the simple, yet gorgeous, gift wrap design you see. 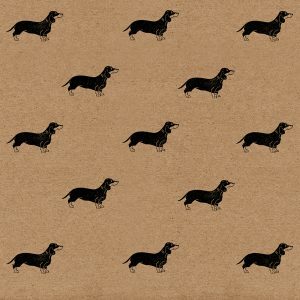 From my hand printed design, subsequent sheets are produced using the highest quality lithographic printing; it’s this process which produces the lovely handmade effect of the paper. 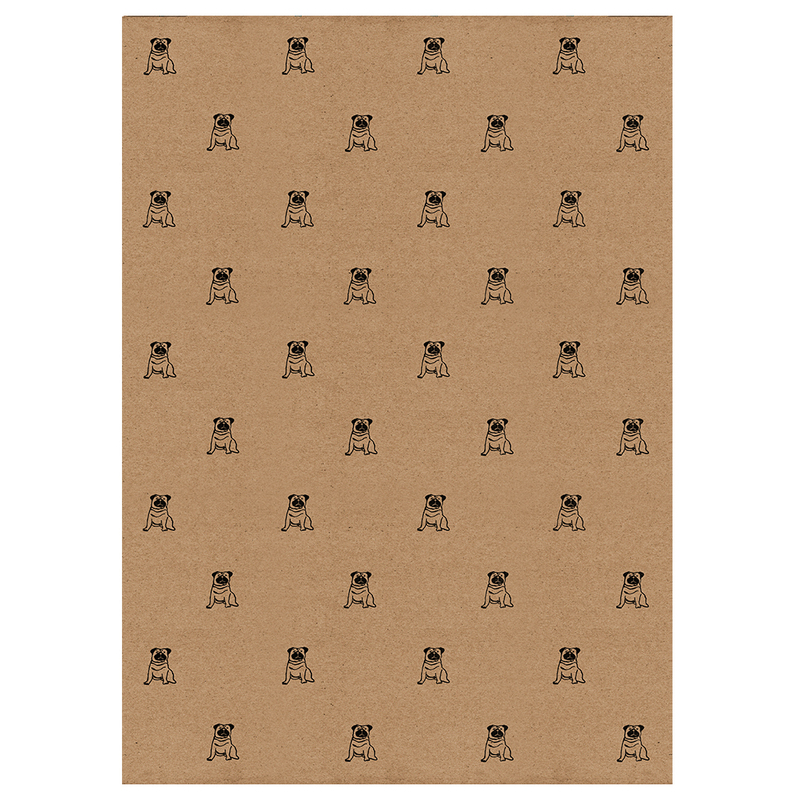 The wrapping paper is made from high quality 90gsm, 100% recycled kraft paper. 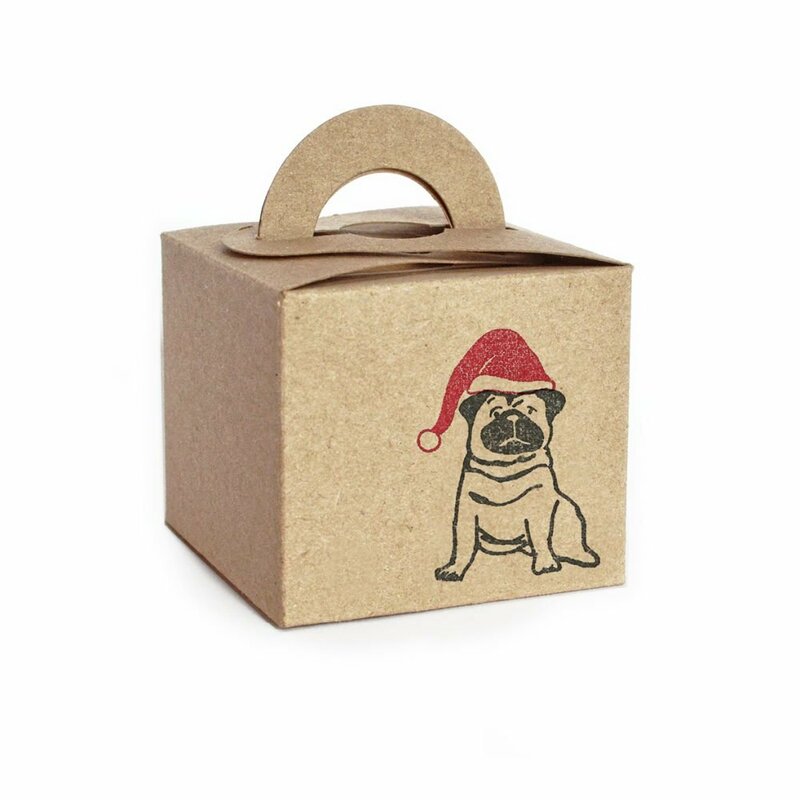 The paper is also 100% recyclable, so the lucky recipient can recycle their paper once they’ve unwrapped their gifts! 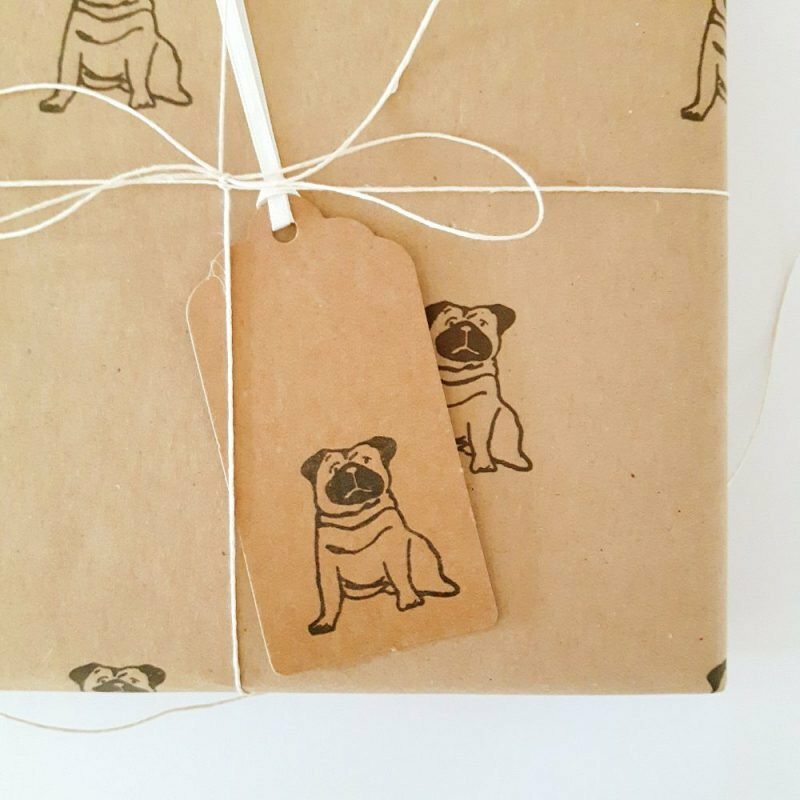 An altogether eco-friendly wrapping paper cycle. 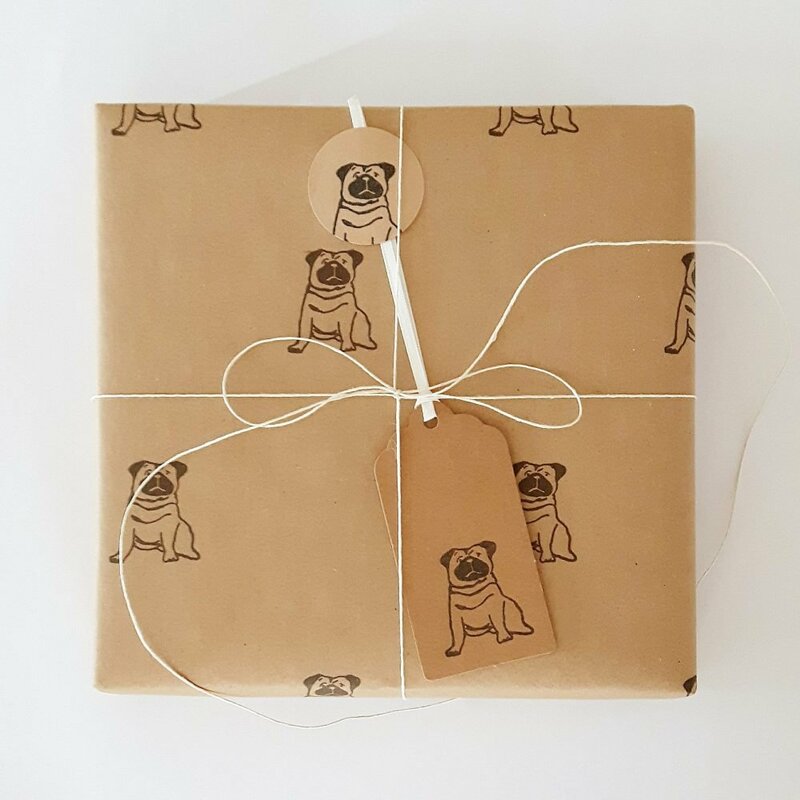 Looking for More from Pedro the Pug? 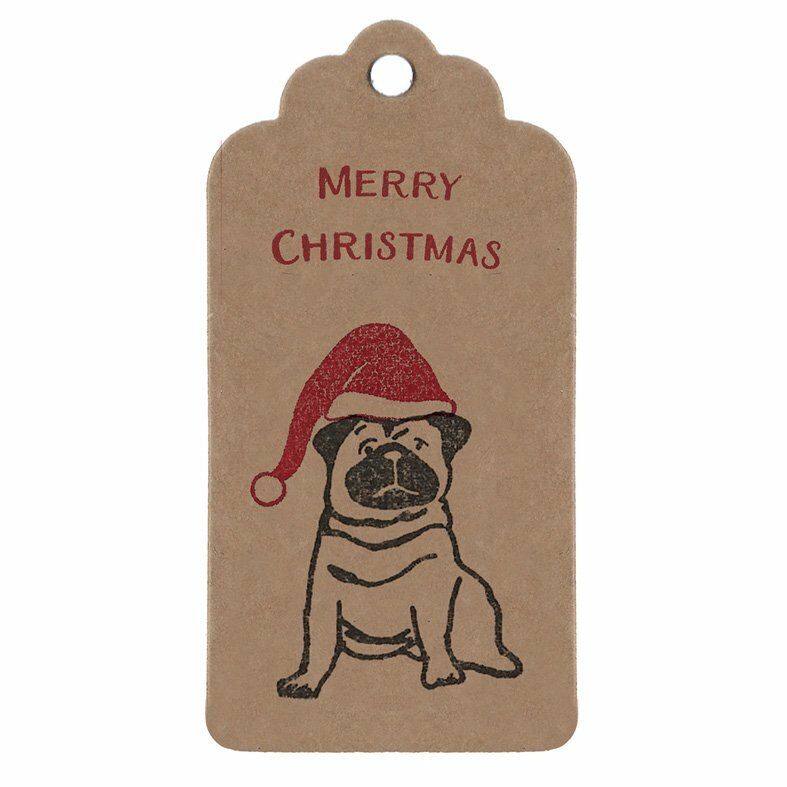 Find my whole range of Pedro the Pug products, including the matching wrapping paper to this gift tag, here. 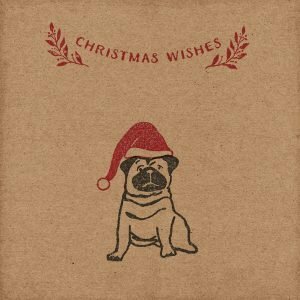 If that’s still not enough Pug in your life, then check out Pedro’s puggy friend, Peggy Sue!